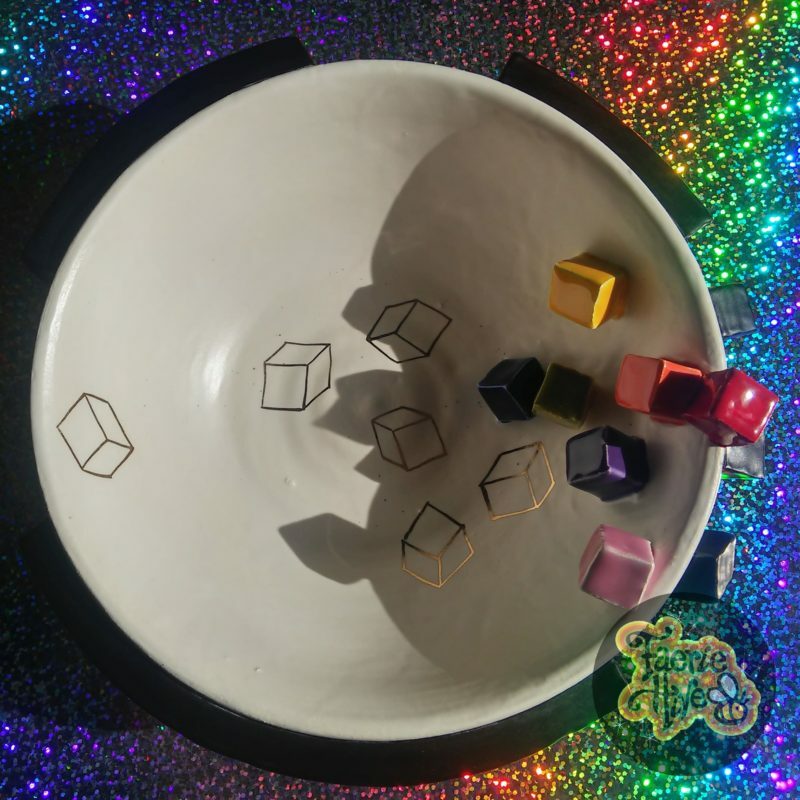 A magical bowl filled with dimensional rainbow cubes and optical golden cubes. The outside has several velvety black cubes and rectangular prisms. – handwash to protect the gold lustre.